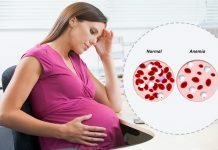 It is a known fact that pregnant woman must not consume any over the counter medications unless prescribed by the doctor as they can prove to be dangerous or harmful for her health as well as the health of her baby. But this might create a problem in some cases such as cold, cough, fever or body ache which require a proper treatment method. This is where the use and effectiveness of home remedies comes into play. There are many home remedies for cold during pregnancy which can be followed in order to get a relief from this condition. The following are some of these treatment options. The first and most trusted home remedy to treat cold and especially for a pregnant woman is to stay as warm as possible as this helps the body in directing its energy towards fighting the flu. You can prepare saline drops at home for treating cold by dissolving one quarter tsp of salt in about 8 ounces of water and dispense this in each of the nostrils. Blow your nose after doing so. This method can help in removing the virus from the nose. Taking steam is also an effective method to cure cold during pregnancy without using medicines. This method helps to clean the mucus and gives relief from the cold. Another home remedy which requires no help of medicines to cure cold during pregnancy is saltwater gargles. Warm and salt water gargles can help in drawing out the mucus and reducing the swelling which develops in the throat. Salt helps to reduce the itching sensation in the throat. Drinking plenty of water also helps to give relief from cold. This helps because it is important to stay hydrated during cold as runny nose tends to bring in a sense of dehydration. It is also important to avoid those drinks which are caffeinated. It is also important for a pregnant woman suffering from cold to blow the nose regularly as it helps the sinus to drain and improves the breathing. Having hot chicken soup mixed with onions and vegetables can prove to be very effective in treating cold during the time of pregnancy. Another home remedy is having hot water with lemon and honey. It can soothe an irritated throat as well as boost your body’s immunity. 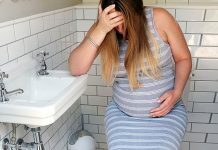 Thus with the help of above given home remedies a pregnant woman can get relief as well as treat their problem of cold.